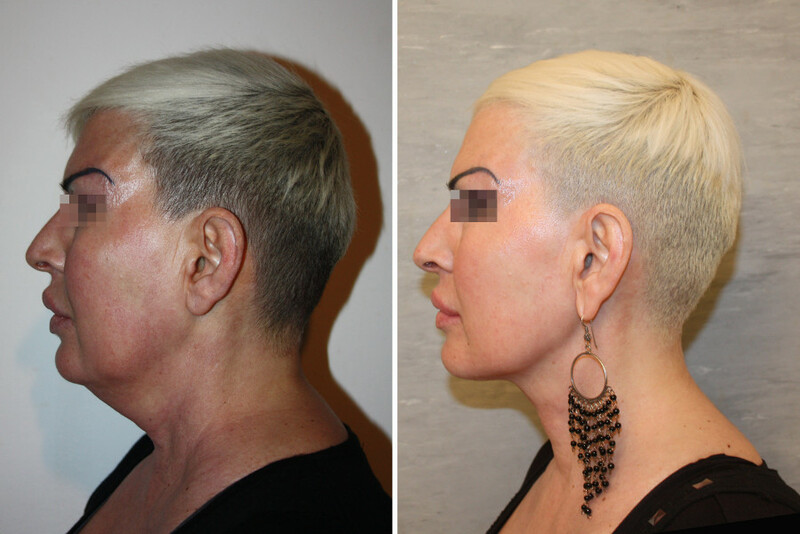 Elastic Plastic Surgery revolutionizes plastic and esthetic surgery. Traction is no longer maintained over time by the patient’s tissues following extensive dissection; this function is carried out by an impalpable elastic thread (Elasticum®), which does not cut into the tissues and which is transformed into a “natural” ligament. The two-tipped Jano needle enables traction and suspension to be carried out without, or with minimal, tissue dissection. Elasticum® enables the cervicomandibular angle to be restored by means of a 1 cm incision behind one ear lobe; the buttocks can be raised by means of a 5 mm incision, and an equally small incision enables low neck lifting to be carried out. Elastic MACS lifting is performed by means of an incision that runs around the sideburn and stops at the tragus; the minimal dissection involved extends only slightly beyond the zygomatic arch. The elastic thread and the Jano needle allow the breasts to be lifted and shaped… and much more. Elasticum enables mastopexy procedures to be stabilized and the results of traditional face lifting to be improved. The implantation of new ligaments is able to correct and prevent the drooping caused by gravity. Elastic Plastic Surgery procedures are easy to maintain; only small incisions are needed. This elastic thread has given rise to a new form of esthetic surgery which drastically reduces tissue dissection. The elastic threads restore the tissues to their original position, the position they occupied before drooping occurred. The natural elasticity of the skin and the biological re-adaptation of the tissues – no longer stretched by gravity – do the rest. The results are natural.